Plinth area is also known as built-up area. It stands for the whole area occupied by the building along with the area occupied by the internal and external walls of the building. Normally, it remains 10% to 20% in excess of the carpet area. 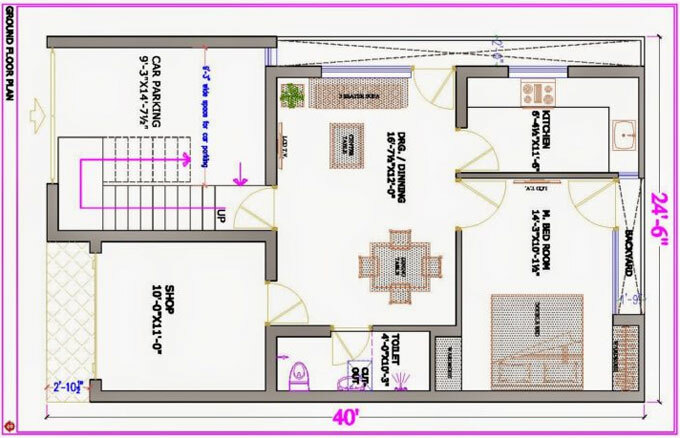 To measure the Plinth area, just select the measurements of walls exterior to exterior dimensions at the floor level. 1. Area of walls at each and every floor level. If any common walls exist among two buildings, half of the area of such walls should have been included in the plinth area. 2. Internal Shafts for Plumbing, sanitary, electrical, telecom, firefighting and air conditioning ducts having area under two square meters. 3. If the area is unsafe with the projections 50% should be considered. Concrete constantly remains under water. 1. If the area is unsafe with the projections 50% should be considered. 2. Recess by cantilevering ahead of the external walls, bay window are some of the instances. 3. If the recess height is equal to 1.0 meter, 25% of such area should be considered. If the recess height is 1.0 to 2.0 meters, 50% of such area should be taken into consideration. If the recess height is in excess of 2.0 meters, 100% of such area should be taken into consideration. Net Plinth area of Ground Floor : 90.82 – 8.723 = 82.097 Sqm. Net Plinth area of First Floor : 90.82 – 5.943 = 84.877 Sqm.